I have. My canon 35mm has been my best friend. ANd your flickr photos are wonderful! Flickr photos are really nice too. The red scarf is gorgeous! the scarf and the photographs are both so beautiful! i love the photos youve been taking. so pretty. Great shots... and I love the embellished mini-dress with the pop of red. You look lovely and your photos really are quite beautiful. 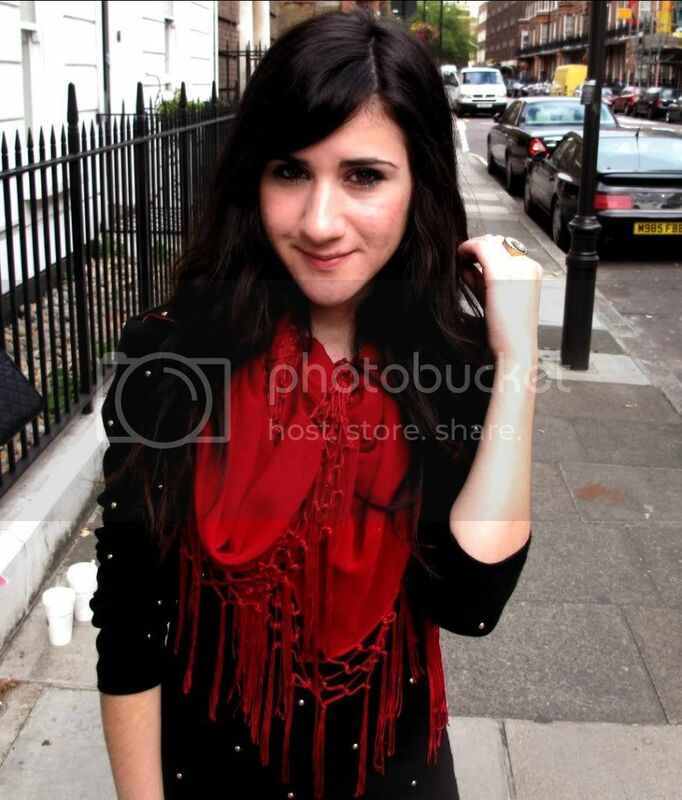 I love how you wear your red scarf, gorgeous! gorgeous pictures! the last is my favorite. the red scarf is a really cool, bold accessory. oh shoot, i was in london til yesterday! do you love it? The scarf is amazing! I was just looking through all your old posts! So many beautiful looks! All were perfect. You have such a fabulous sense of style! And love that white sweater you are wearing a few posts below! love the fringe detailing! And your pictures are so lovely! my favourite accessory is my red scarf at the moment, so this outfit is amazing. love it. I completely understand what you mean by lack of light during daytime. :( It really bothers me too. Love love love the photos, dear!!! THE TIGHTS AND THE SCARF..ACTUALLY EVERYTHANG IS SO VERY LOVELY! Such a beautiful outfit, and I love your pictures! Love the photographs, the one with the tights are so cute. your pictures are amazing, so cool! Ypu look so beauty, and this dress is amazing. I think red looks lovely on you! You left a comment saying you'd been to the Natural History Museum - do you mean the one in London, or the one in Oxford? Really love the red scarf in this outfit !!! the scarf is lovely! and so are the pictures you took! great job! omg i love your dress! and u look great in red! I love that scarf. You look great! Your film pictures are so nice! I love the play with dark and light. I just did a huge film project for school so I'm a bit tired of it, but this inspires me to do some for fun. you should wear red more often, it looks lovely on you! And your photos are gorgeous, I love the second one. I love the red touch and I love your dress! Is it from Zara? I love the scarf. Such a great red! great photos!! i love ur outfit!! Nice scarf. You take very lovely photos. 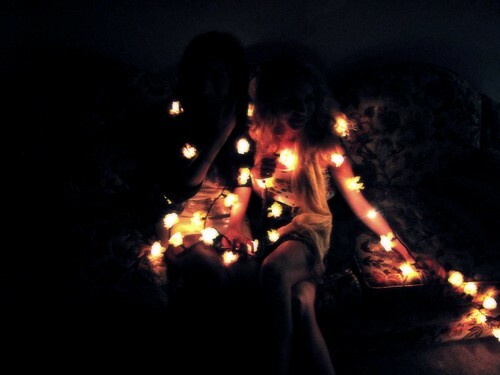 Love the pic with all the lights! I love the dress you are wearing ! The scarf is beautiful! It made the whole outfit so nice. Great!